the home for owners and supporters of Stevens-Cipher cars. 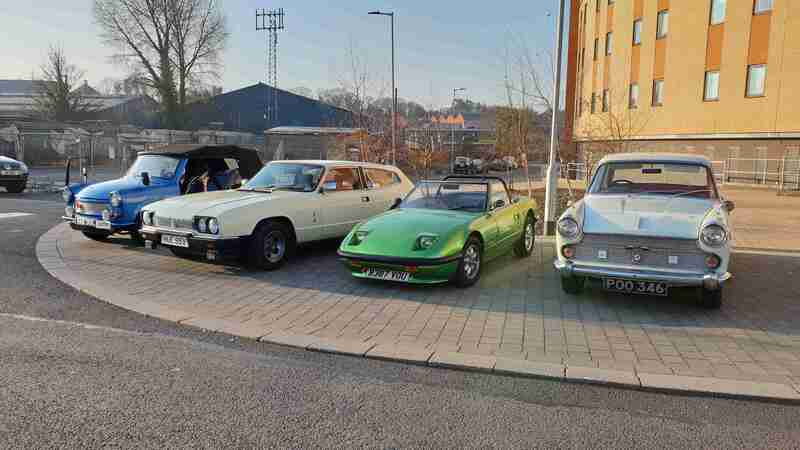 The first meeting of the year for the Roman Roadsters car group in Colchester, welcomed sunshine and freezing temperatures. However there was still a good turn out. As usual the Sea Cadets provided refreshments and bacon rolls and fellow petrol heads got the chat about cars and no doubt put the world to rights. Tony Stevens has advised me that the Lada based Cipher prototype is now sold. So congratulations to Simon on his new purchase. Tony Stevens has advised me that the Lada based Cipher prototype is still up for sale. This is a one off car financed by Lada and built by Tony. For more pictures and further details see the pdf. What a difference a week makes. Glorious sunshine all weekend at the Festival of Wheels Ipswich. Billed as the largest event of its kind in the South-East, the Festival gathered together the east coasts rarest and most glamorous cars, bikes and trucks. The festival of wheels is a unique event created for those with a passion for motoring in general. 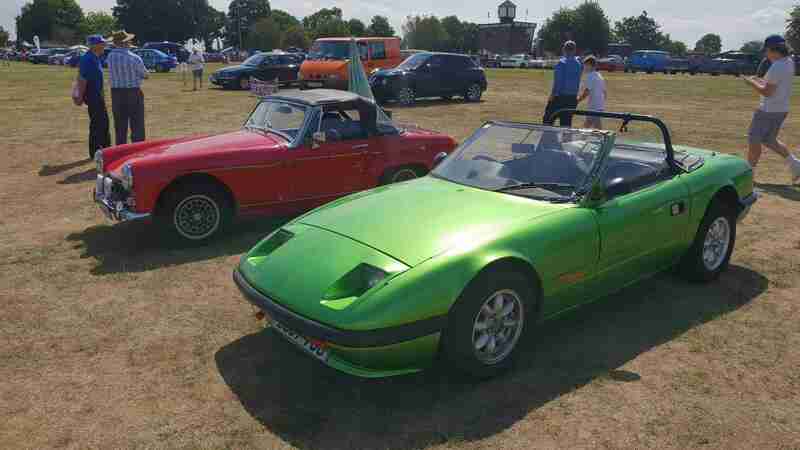 Seen beside a MG Midget was the green Cipher. Debach airfield and museum held their first classic car day on 29th July, which was very well attended despite the weather. Having had back to back sunshine, we had our first rainy day for months! 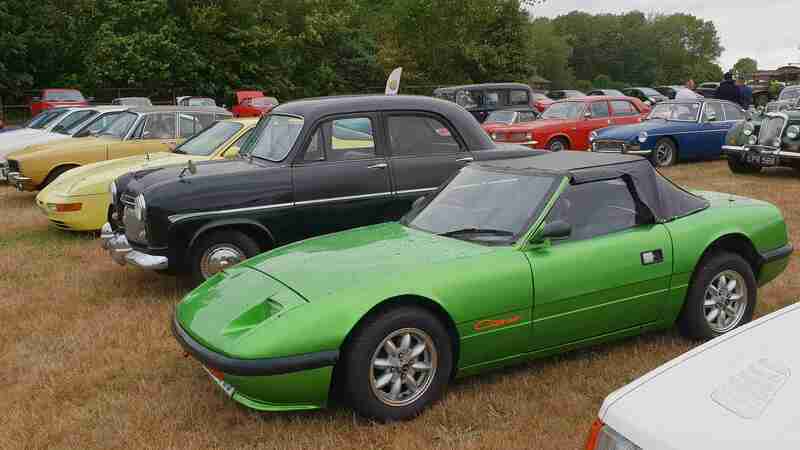 70 Classic car drivers bravely turned up in their vehicles including a Cipher. April 22 was this years 'Drive it Day'. This is a national event organised by the Federation of British Historic Vehicle Clubs. The aim is to get historic vehicles out on the road to demonstrate to politicians and policy makers the importance of the classic vehicle movement. 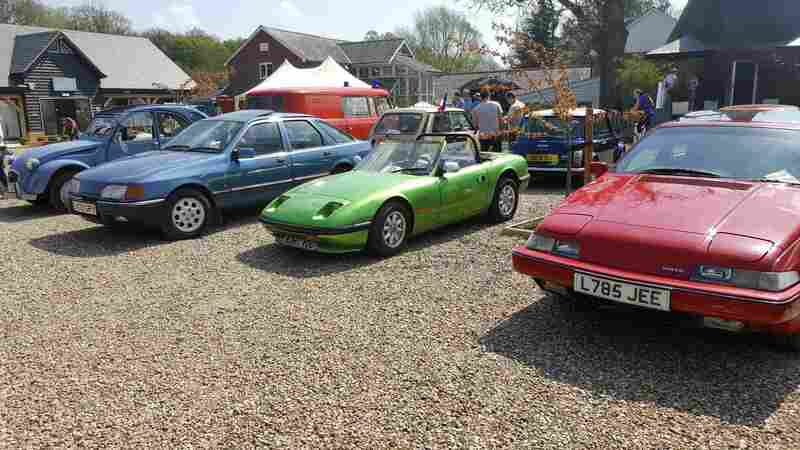 The Green Cipher joined the Roman Roadsters Car Club travel from Marks Tey across the countryside to our venue at on a Kersey Mill and gardens just north of Hadleigh, Suffolk.